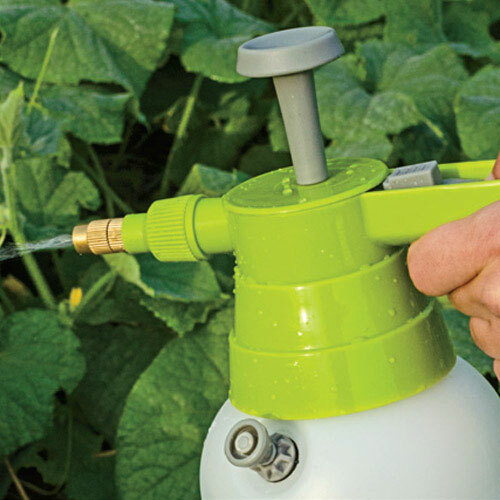 Handy Pressure Sprayer | Gurney's Seed & Nursery Co.
An easy-to-use and easy-to-clean pressurized sprayer for any small project. The tank holds 1 liter (33.814oz) of spray and allows you to see the spray level for precise measurements. Using this hand-held sprayer is a cinch—simply unscrew the top, fill it about 3/4 full, pump it up and press the lever at the top of the handle to spray.